In 2017, Time Magazine and Vox both INCORRECTLY declared the demise of the coloring books for adults sub-genre. The basis for their determination? Barnes and Noble had lower coloring book sales in 2016 than they had predicted. They said B&N and other brick-and-mortar stores saw a decline in sales of coloring books, but they also said they have no real method to track the sales of coloring books on the Amazon website and coloring books created by small publishers like you and I.
I sat down with a sheet of paper and started taking notes, checking and recording the Amazon Sales Rank for the Top 100 Coloring Books on the Amazon website. On the Kindlepreneur website, they have a calculator that helps us determine how many books are actually being sold according to a book’s actual Amazon Sales Ranking. Johanna Basford is not selling as many coloring books as she once did, but her Top 5 coloring books together are still selling 5,640 units per month, just on Amazon. So, her Top 5 books on Amazon.com — not counting the non-US Amazon stores — are making her about $28,000 per month. Combined, the Top 100 coloring books on Amazon’s website are together selling 271,860 units per month! These 100 coloring books are selling over 3 million copies annually. Think about that… The Top 100 coloring books on Amazon are selling an average of 2,718 books every month, EACH! The top-selling book in this category sells for $16.65. The highest price book in this category is $25.02. 40 of the Top 100 books in this category are priced above $10 per book. The average coloring book with more than $10 on the price tag is about 50 pages in length. Each of those books published through Createspace or KDP Paperback pay a royalty of about $4.82 per book. If you make an average of $5 per book sold, how many books would you need to sell each month to match your current income? If you think about it, book authors are in the entertainment industry. More so with coloring book authors. People buy books and coloring books because they are looking for hours of entertainment, and they expect that the books they purchase will be able to help them achieve their goal of being entertained. People buy ordinary books, in order to be entertained passively. People buy coloring books, to help them explore their personal creativity and to relax in an activity that brings a lot of personal joy and satisfaction. Successful coloring book authors understand these things, and they create coloring book art that is a pleasure to color. About 70% of those authors, who have books in Amazon’s Top 100 coloring books list, are self-published authors just like you and I. 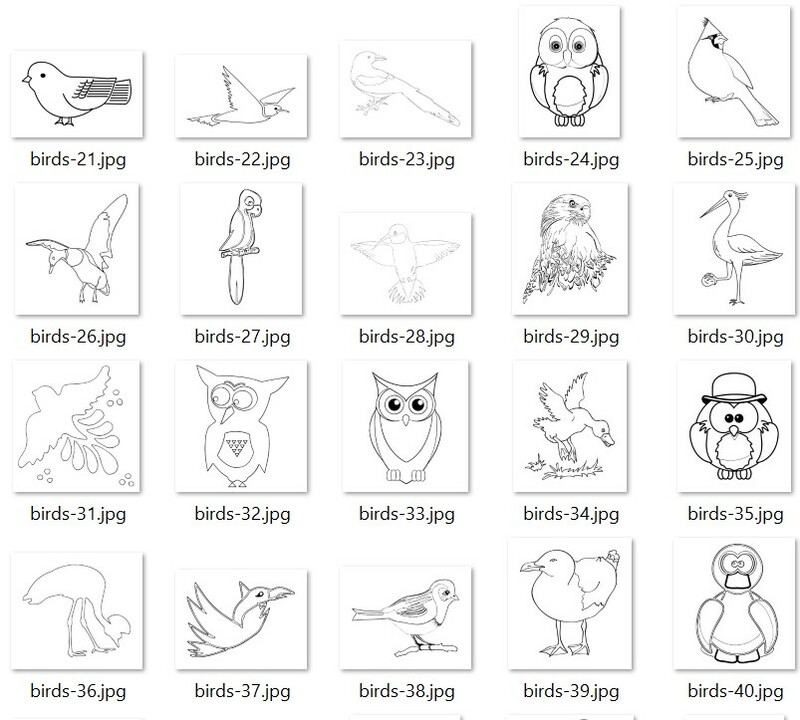 Most of the top-selling coloring book authors are not people who draw their own designs. 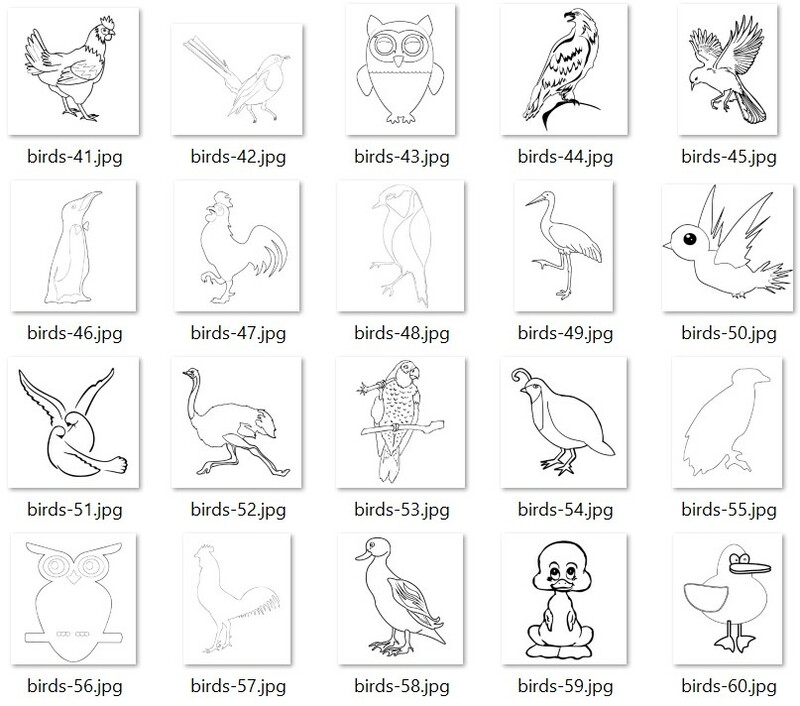 In fact, most of the books in Amazon’s Top 100 coloring books are books that contain illustrations that have been designed using computer software. You will not want to use any of the artwork we provide in an unmodified format. You will want to use this artwork within other images to make your coloring book art unique. People who buy coloring books don’t want to purchase books that have the same illustrations as the book they purchased last week, last month or last year. The way we get around that is to combine different images to make something new. Q3: What are the Upsells? 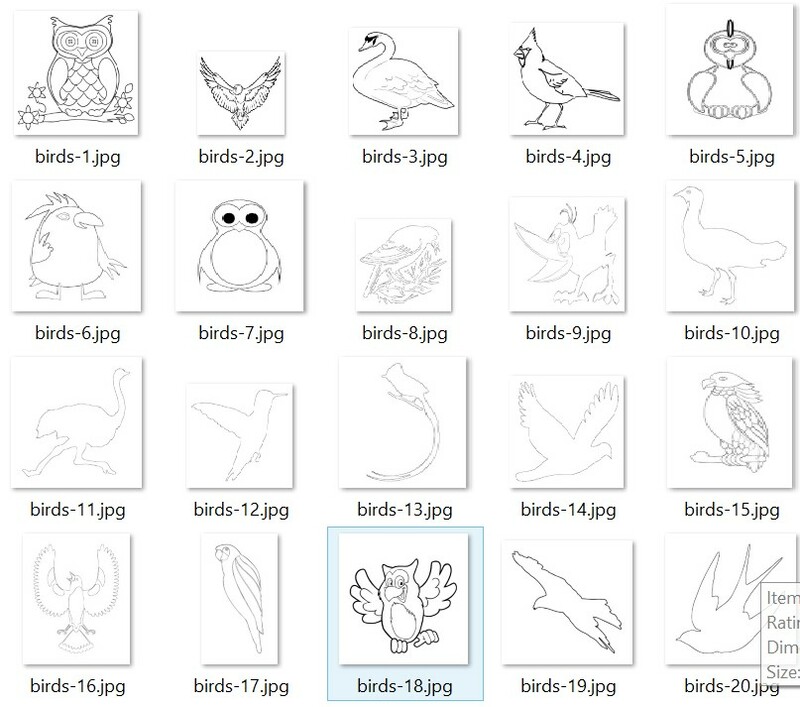 A3: In the main offer on this page, you are getting your hands on 62 BIRD IMAGES for $17.00. Up-sell #1 includes 70 BUTTERFLY IMAGES for $17.00. Up-sell #2 includes 500 PATTERN DESIGNS. 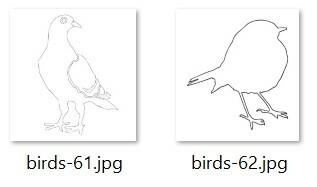 Bill Platt usually sells these patterns in sets of 100 images for $12.95. You are going to be able to get all 500 PATTERN DESIGNS for $29.95. All images are at least 300 DPI, delivered in JPG format.